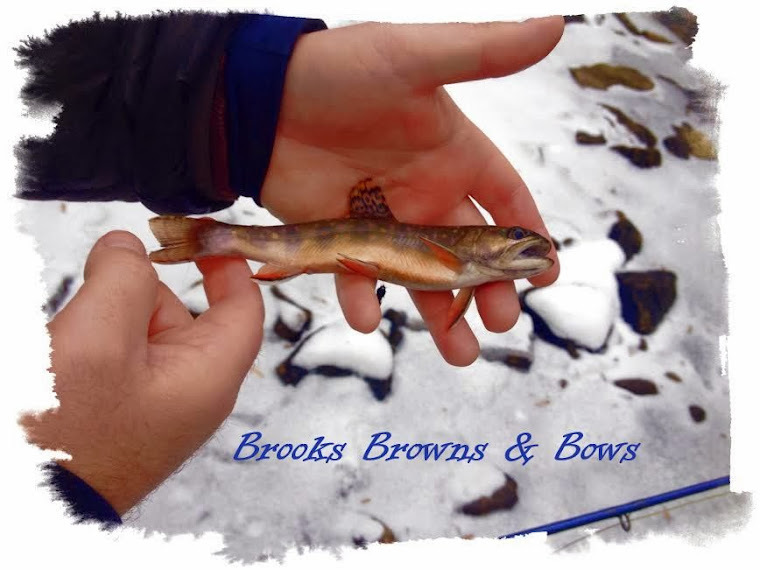 Brooks, Browns, & Bows: Can you catch me now??? These great fish are from this past Friday... (03-25-11) Had a chance to get out with a couple guy's and this was the fruit of our labor. We manged to get into some really nice fish, the water was perfect high and green. And the fish wanted to eat Wooly Buggers like it was there job! Mark and Travis both did really well, being Travis had never fly fished and Mark was more familiar with the still water game. Travis I'm sorry about the sun soaked Brookie in the net picture, but the close up shows how good that fish really was (WHO DEY). As for Mark and his Rainbow, it speaks for itself...PIG!!! Last but not least, we were heading off the stream we ran across this gentlemen locked in an epic battle. This is what came to the net when all was said and done! I did not get this man's name but asked if I could take a picture of this beast and post it on our blog... As you can see he said yes, great fish dude!!! Wow those are some great looking fish. Very nice! 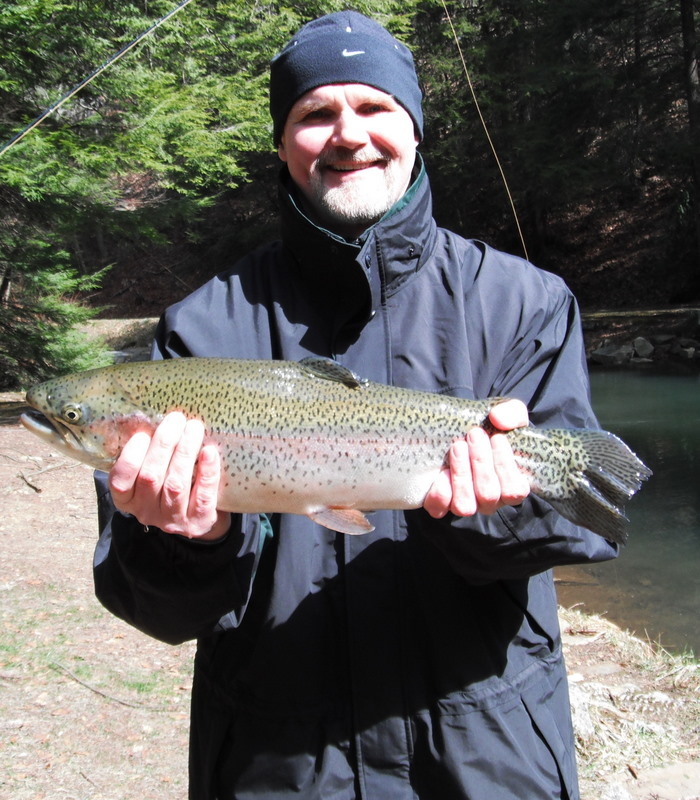 Makes me want to hit a trout stream ASAP!